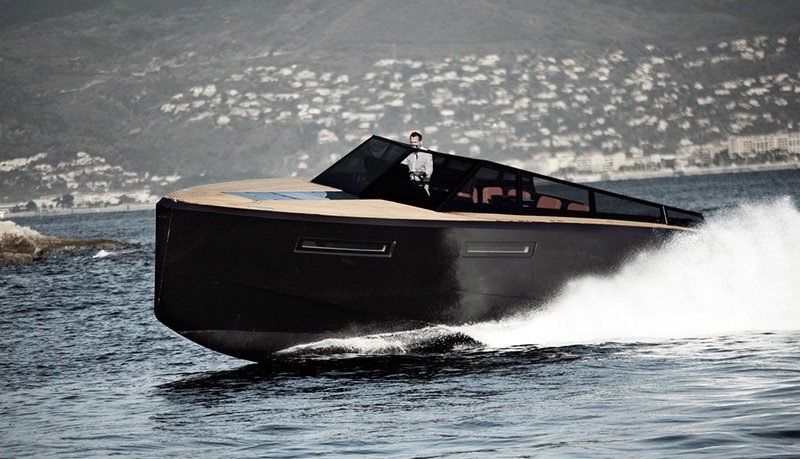 A yacht can not be born without the experience, ideas and passion of the men who built. 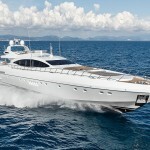 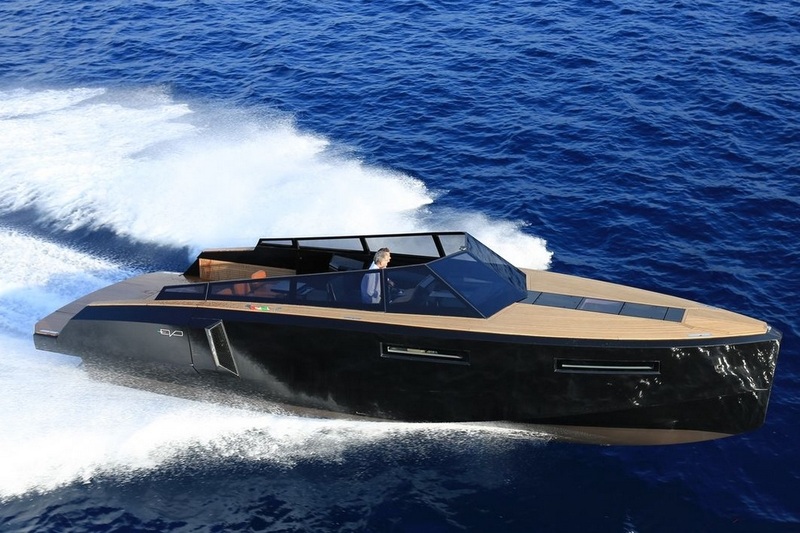 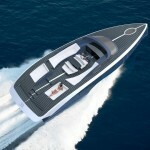 EVO 43 recently made its debut at the Cannes Yacht Festival, is the newest design from Italian shipyard Evo Yachts. 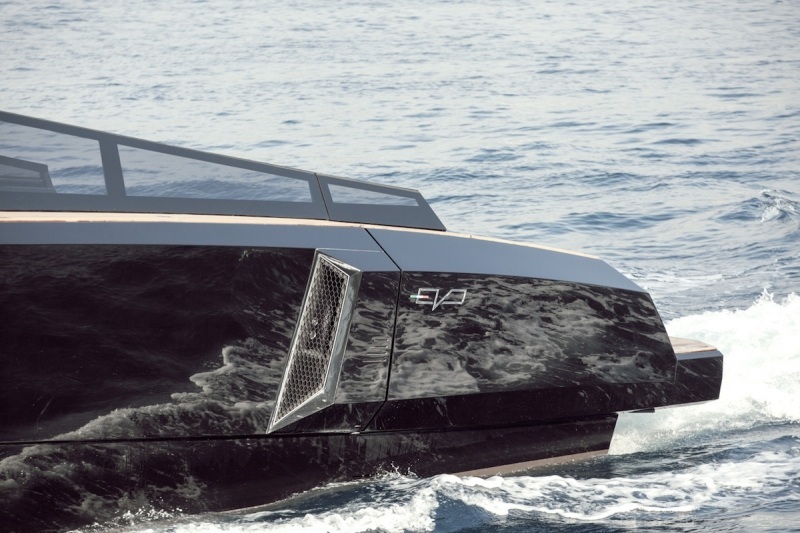 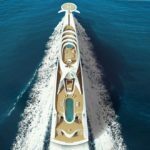 A stylish and multifaceted mega yacht designed and built in Italy in a joint project with Studio Tecnico Navale Rivellini , EVO 43 is a yacht of 13 meters long with muscular lines, elegant and minimalist.The superstructure of straight lines incorporates a toughened-glass 8 mm thick windscreen. 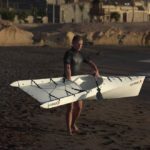 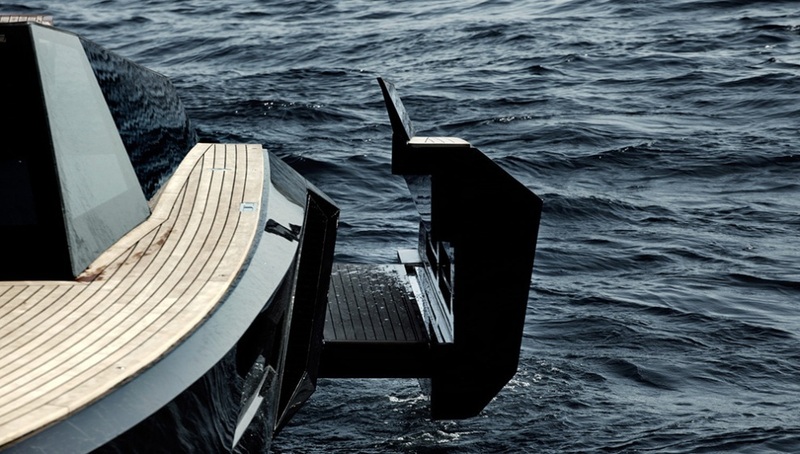 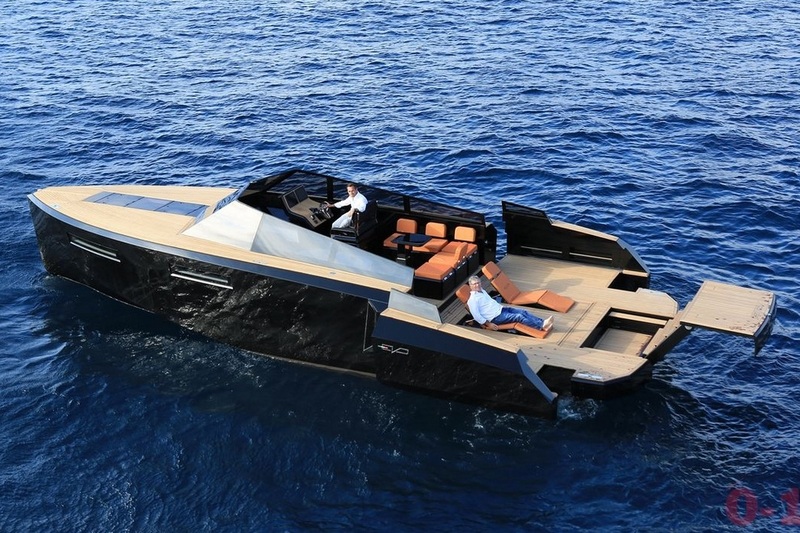 Based on a concept of transformable hull, the sides of the EVO 43 open along the quarter-stern of the boat, while a separate section rises up and out the bar, allowing the boat to become a multi-functional platform. 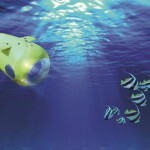 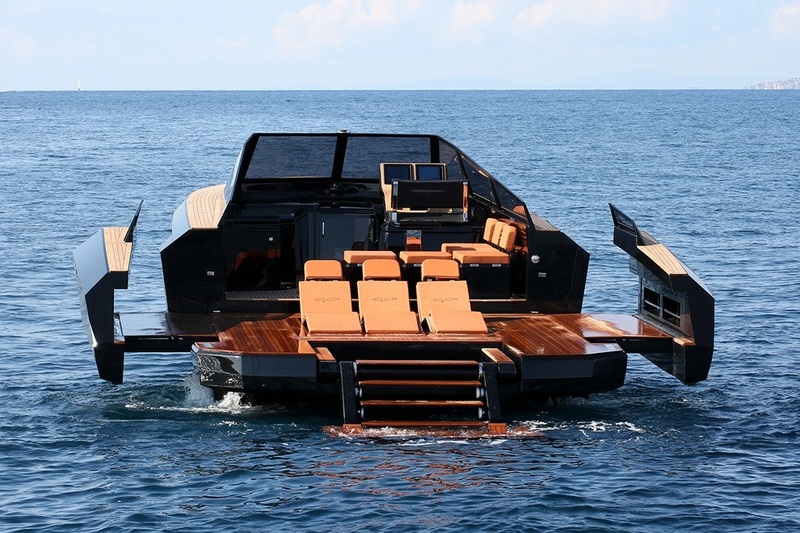 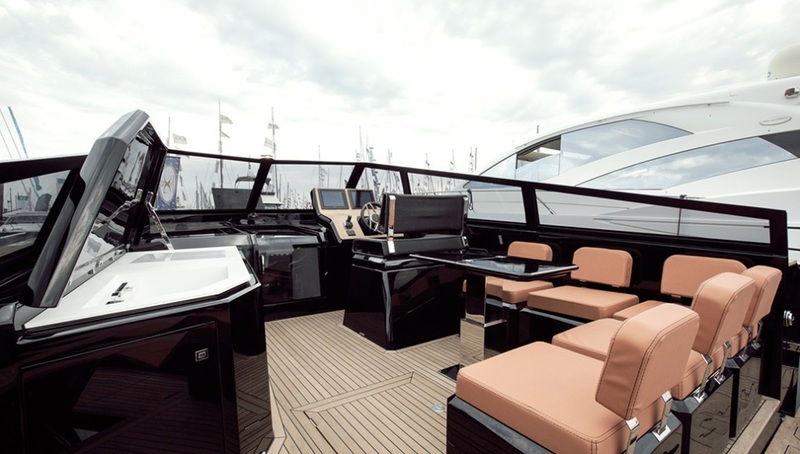 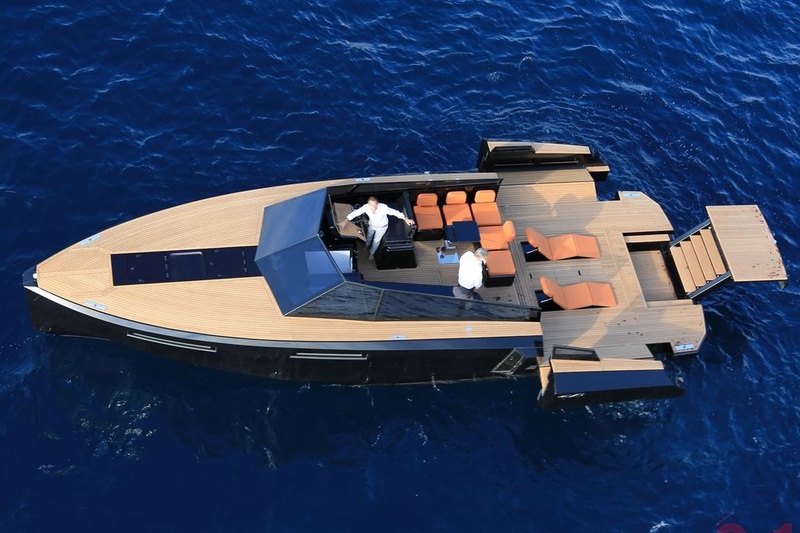 Controlled by a smartphone or tablet, the sides of the yacht open in less than a minute, while the rear panel will allow Guests address from a dock or swimmers enjoy the water. 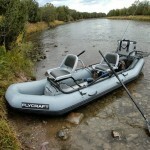 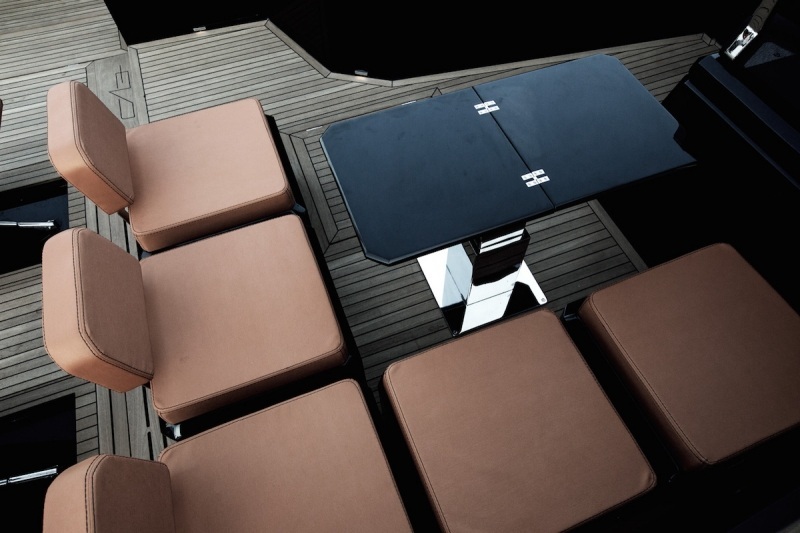 The EVO 43 modular seats can be rearranged in different configurations, or completely removed for a fully open deck. 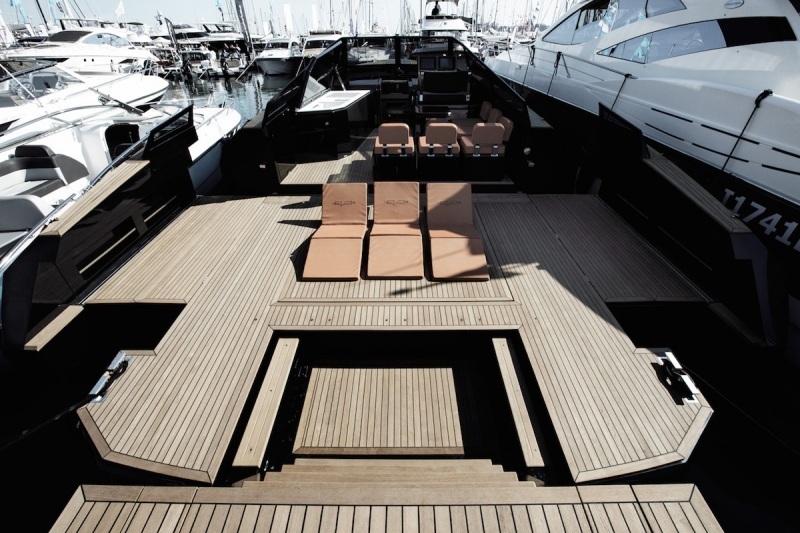 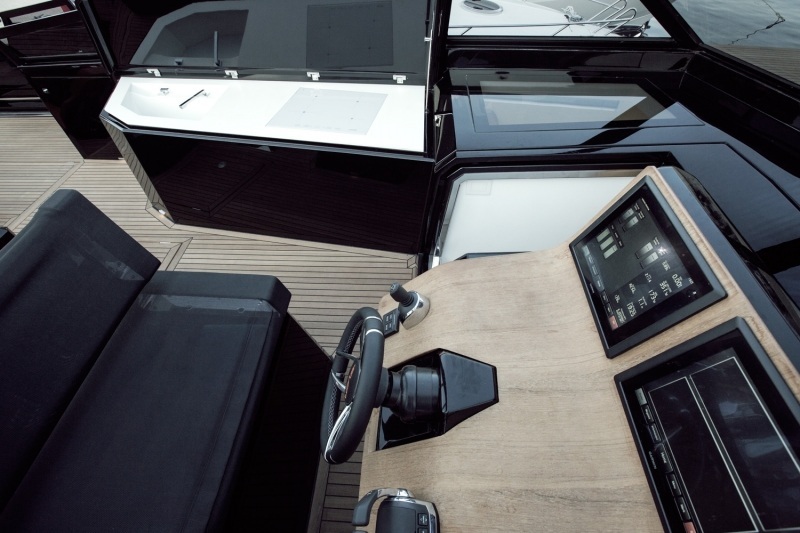 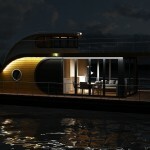 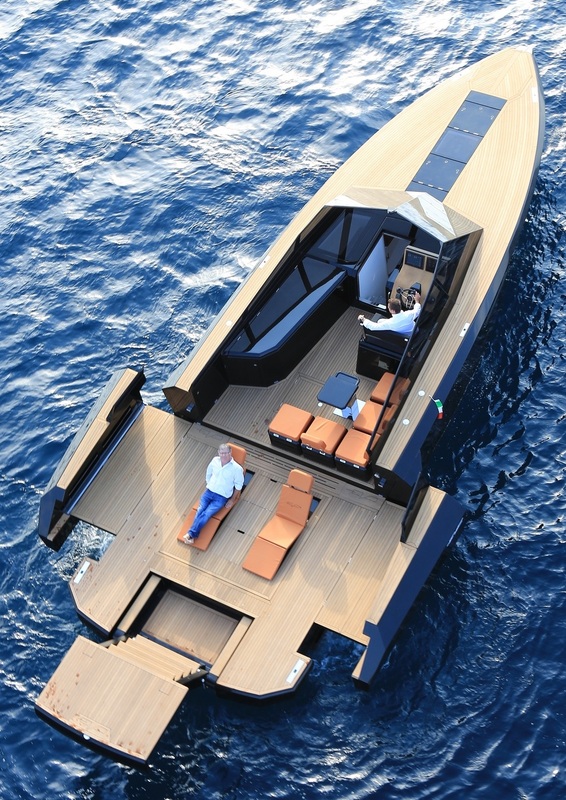 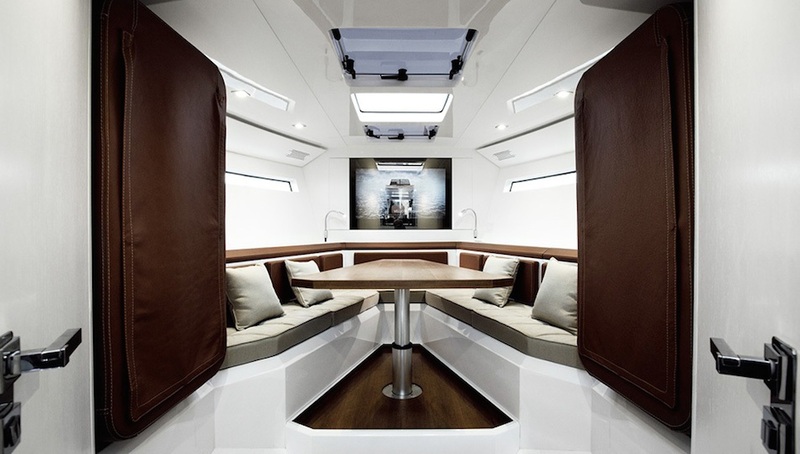 The yacht allows passengers to enjoy teak wood covered with leather and glass as decorative materials. 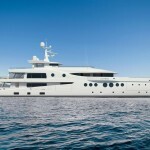 Indoor facilities include an optional 42-inch Bang & Olufsen, a glass staircase with LED lighting and a separate shower. 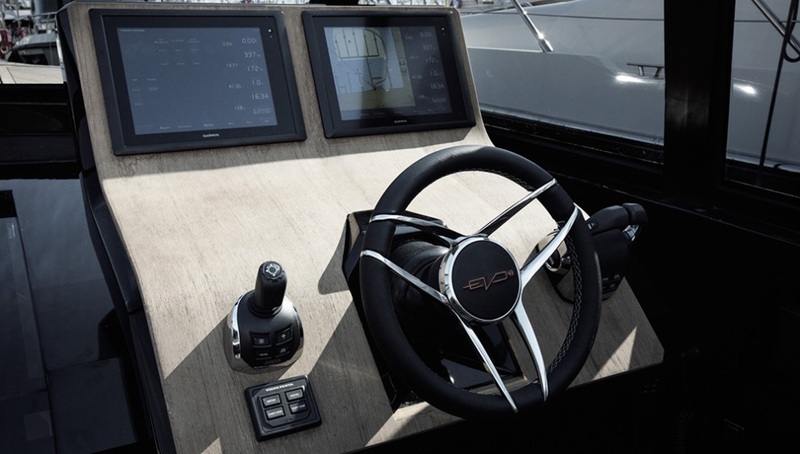 To power the EVO 43, Sea Engineering Group chose two engines Volvo Penta IPS 600 (for a total of 870 hp), while the hull, lifting background 18th, was designed by Studio Rivellini with extensive studies CFD (Computational Fluid Dynamics), to the new EVO 43 a super efficient yacht with a maximum speed 38 knots cruising 30 and a range of 300 nautical miles.